In August of 2014, we wrote about Culver City’s no-smoking ordinance that would affect common interest developments. The full text of the ordinance may be read through the city’s website here. We have recently received questions from concerned association managers and board members as to whether Culver City condo associations would be responsible for enforcing the ordinance. As the time nears for the smoking ban to go into effect, such questions and concerns will likely be more common for condo boards and managers who are affected. 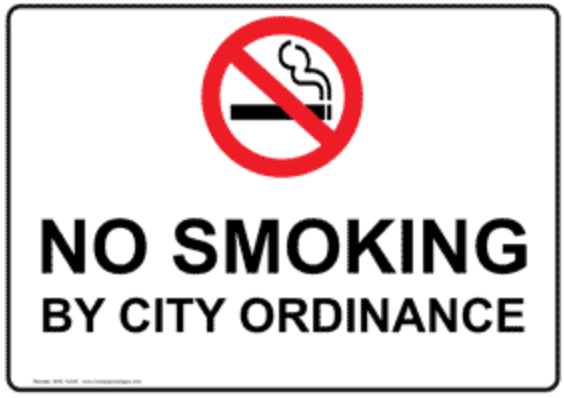 The short answer is yes, Culver City seems to have attempted to make the associations responsible for enforcing the City’s ban on smoking in buildings with multiple units, although it remains to be seen what level of enforcement will be required. Things are different here in California. 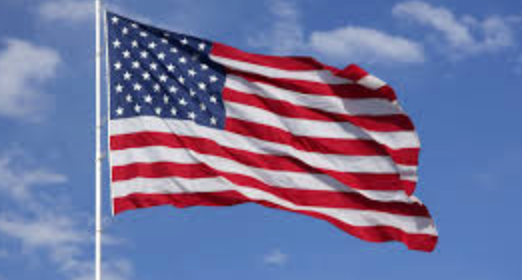 Our Civil Code/Davis Stirling Act expressly prohibits California Community Associations from limiting or prohibiting the display of the flag of the United States on a member’s separate interest or within their exclusive use common area. Follow this link to read our Civil Code Section 4705. We in California do respect our Flag and what it stands for, and no California community association should restrict any owner from flying the flag so long as it meets the requirements of the Code. If you thought that the laws in other states regarding condos and HOAs were the same as ours, you were way wrong. And that is certainly the case when it comes to fining and/or penalizing owners for violations. 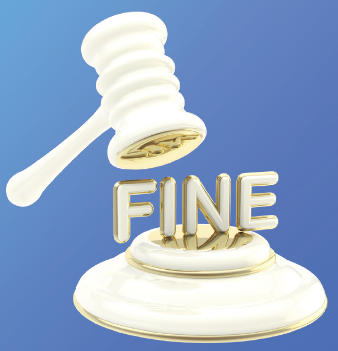 On July 1, 2015, new provisions which clarify the procedures in Florida for fining and use right suspensions for non-monetary violations became effective. An article by Florida community association attorney Jeffrey Rembaum describes this new law. The term “non-monetary violations” refers to violations such as failing to pressure clean roofs (seriously?) and driveways, to remove dead trees, to bring in the garbage cans and to pick up after your pet, etc., and excludes penalties for delinquent payment of assessments. Complaints about secondhand smoke are increasing, and many associations are looking for options for dealing with the issue. Many boards want to propose an amendment to the association’s governing documents but are concerned about enforcement, as they know that there are some smokers living at their associations. If your development is made up of several detached buildings, each of which contain multiple units, you may want to consider an innovative alternative – amending the governing documents to allow the owners of each individual building to self-determine that their building will be smoke free! 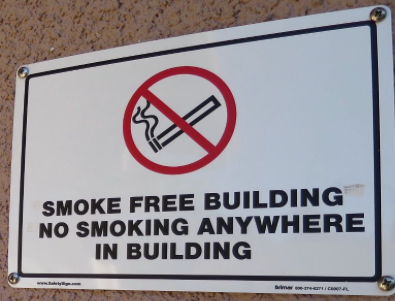 We did this for one of our clients, setting up a process by which the owners of a building can unanimously apply to the board for designation as a permanently smoke-free building. 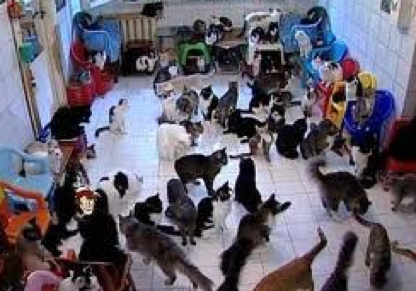 The Los Angeles Times reports that the Los Angeles City Council is considering an increase in the number of cats that a Los Angeles City resident can own. Seriously? We are often called upon to deal with condo residents that have way too many cats in their units and are unable to properly care for them or their unit. As a result, neighbors complain of odors coming from these units. Not a healthy situation. According to the article, the goal of the proposed rule change is not to encourage cat hoarding, but to save felines. “We want to give loving community members an opportunity to become part of the solution by adopting and/or fostering altered shelter cats in their homes,” said Brenda Barnette, General Manager, Los Angeles Animal Services. The article indicates that the city is seeking to increase the number of cats that one may own from three to five. The article also acknowledges that enforcement has been lax. I do not see this helping community associations. 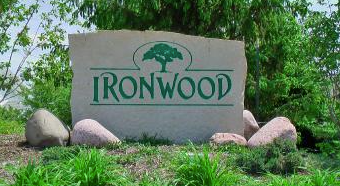 HOA Tells Owners They Cannot Park Their Pickup Truck in Their Own Driveway – Seriously? 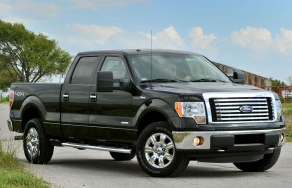 I was recently made aware of a lawsuit filed in Fayetteville, New York by an HOA against homeowners seeking to restrict them from parking their 2014 Ford F-150 pickup truck in their driveway. The association apparently has CC&Rs that limit parking in driveways to only “private, passenger-type, pleasure automobiles.” Many California HOAs have restrictions on the parking of commercial vehicles, and this often leads to debates as to what constitutes a commercial vehicle. At one association we represent, the board was having a serious debate on this, as one board member wanted to ban an owner’s truck merely because it was the kind of truck that is used for commercial purposes, but there were no observable indications that the truck was used for commercial purposes. Follow this link to an article from a Syracuse newspaper on this story. The article has a photograph showing what appears to be a fairly typical pickup truck. The pickup truck in question does not have any markings on it showing that it is used for business, no racks on it for contractors to haul ladders or other equipment, etc. It looks like an everyday pickup truck that regular people use as their personal vehicles. A manager at a planned development community association we represent contacted me regarding a dispute with an owner. The board was refusing to allow the owner to make a change to the common area solely because the owner had made a change without first submitting a plan and obtaining the required prior approval. I was informed that the board was refusing to provide approval as punishment for the owners’ actions. And the board was doing this despite the fact that the owner had come to them with two options that would have minimal impact on the common area and/or the aesthetics of the association, and the cost for the owner to bring the property back to its prior conditions would have been very expensive. The owner was not happy, and there were some rumblings of a lawsuit. I had to tell the manager and the board that their approach was not appropriate and that there was a possibility that the association could lose if a lawsuit were to be filed. What I describe above is not an atypical board response to an owner’s failure to seek prior approval for a modification. It is not the correct response, and it can lead to lawsuits that associations may lose. 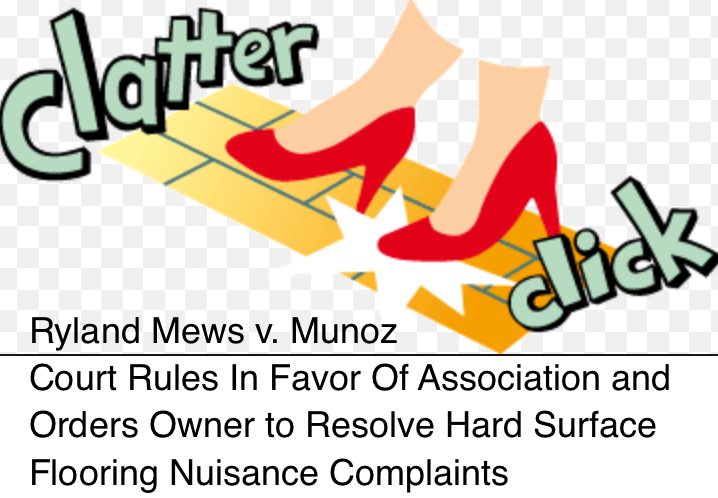 We know this because the Court of Appeal has decided a similar case and told us that California community associations must consider the plans and approve or disapprove the proposed modification based on the usual and customary factors, such as impact on the common area, on the community, neighboring owners, etc. Boards need to show that their actions were regular, fair, and reasonable as a matter of law. Refusing to consider an owner’s plans for a modification because the owner had already made the modifications without approval is not a fair or reasonable response. 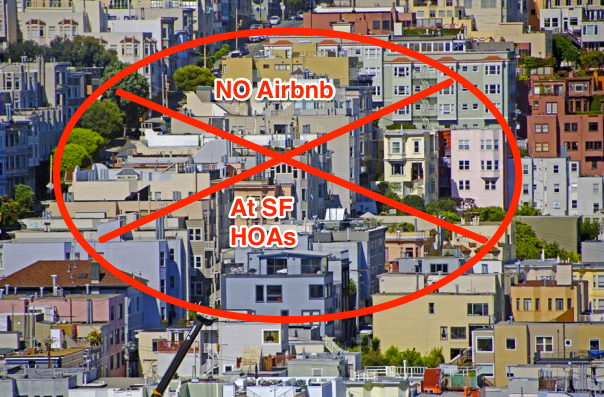 On October 7, 2014, the San Francisco Board of Supervisors voted to legalize the use of residences in San Francisco for short-term vacation rentals, by passing what has been dubbed as the San Francisco “Airbnb law”. Follow this link to a news article. This new law has been more than two years in the making, and removes San Francisco’s long-standing ban on residential rentals of less than 30 days. The new legislation, integrated into the San Francisco Administrative Code, now allows short-term rentals of homes, imposes certain restrictions and requirements on that controversial and unregulated practice, and will take effect in February of 2015. 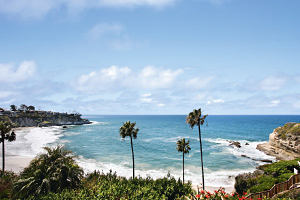 The stated goal of the legislation is to balance the preservation of affordable housing (by making sure landlords can’t convert permanent units to more lucrative vacation rentals) with allowing residents to earn extra income by renting to travelers for short-term vacation and business purposes. The Airbnb law allows only permanent residents to offer their homes for short-term rentals, establishes a new city registry for hosts, mandates the collection of hotel tax, limits entire-home rentals to 90 days per year, requires each short-term rental listing to carry $500,000 in liability insurance, and establishes guidelines for enforcement by the San Francisco Planning Department.